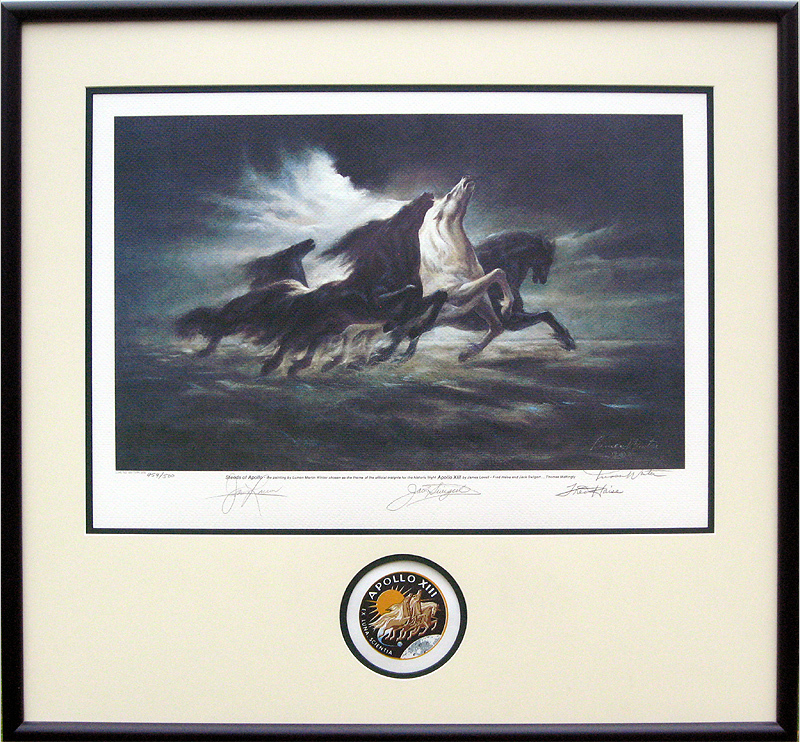 This limited edition print depicting the Steeds Of Apollo is a magnificent Apollo 13 collectible for not one, but two reasons. 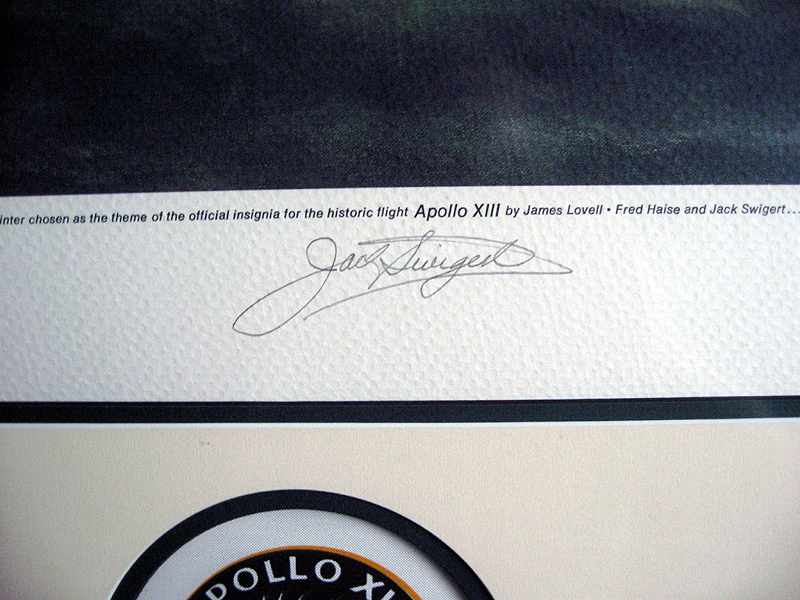 Firstly it has been signed by all 3 members of the Apollo 13 crew and secondly it also comes with an Apollo 13 Beta Cloth emblem that was actually flown to the moon onboard the mission. 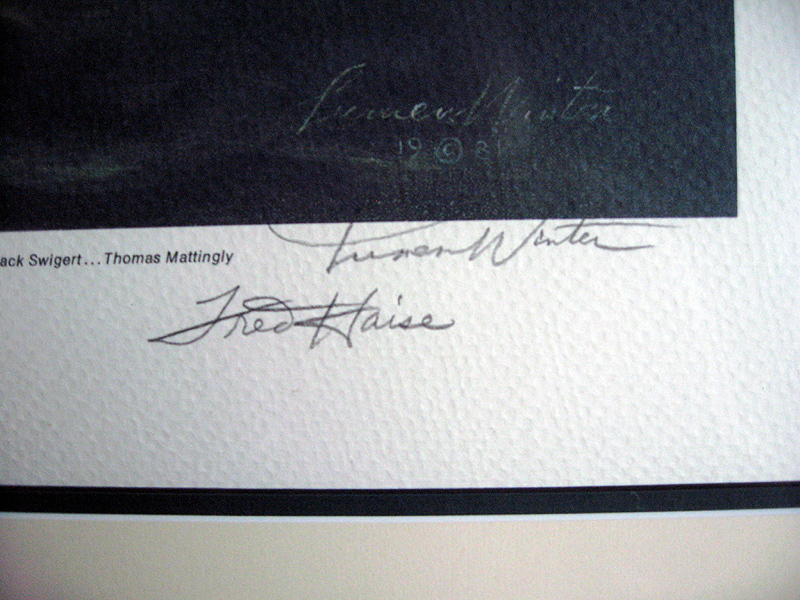 This Limited edition print #454/500 was produced in 1981 from an original painting by Lumen Martin Winter, painted in 1969. 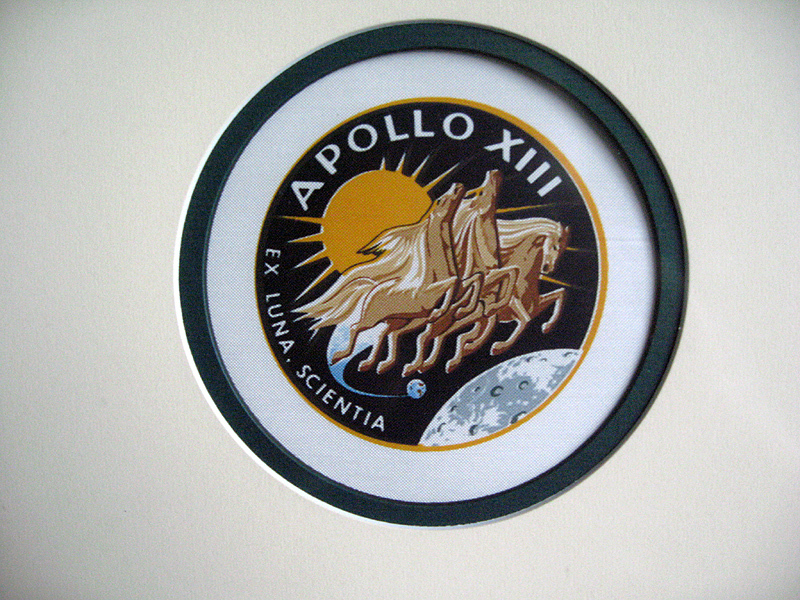 Steeds Of Apollo was chosen for the theme of the flight and was also used for the crew patch. 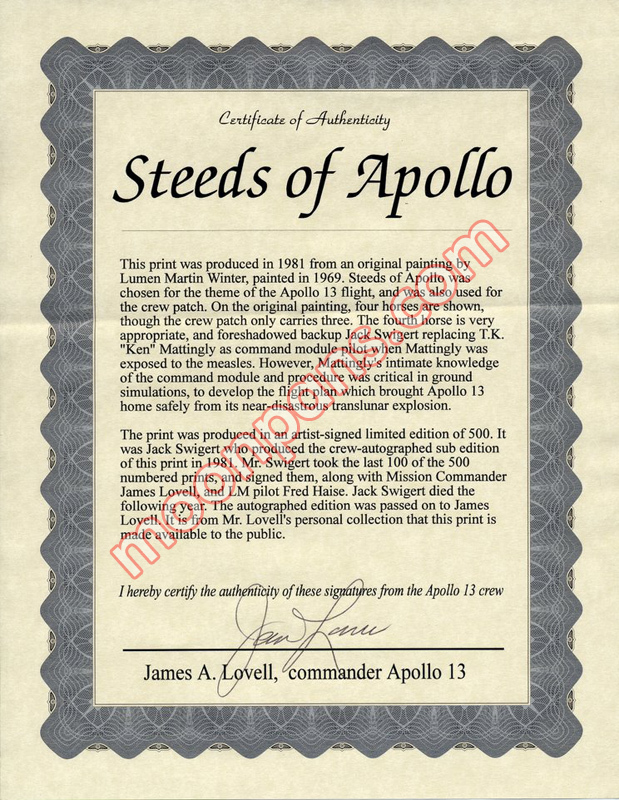 The print was produced in an artist-signed limited edition of 500 of which a sub edition of 100 belonging to Jack Swigert have been co-signed by Swigert and fellow Apollo 13 Astronauts, Jim Lovell and Fred Haise. After Swigerts death the Crew signed editions were passed to Jim Lovell and it is from that Jim Lovell collection that this print is taken. 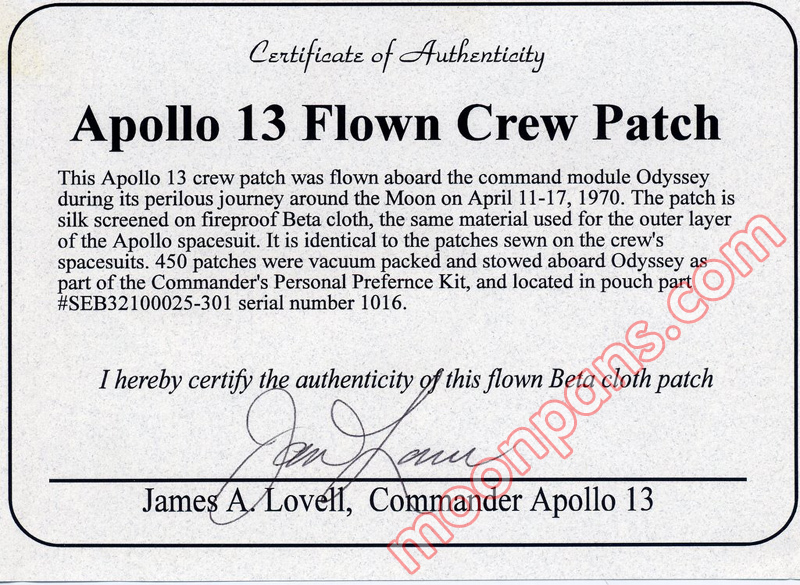 Below the print is an Apollo 13 Crew Beta Cloth Patch that was flown to the moon onboard the Command Module, Odyssey, this is also from Jim Lovell's personal collection.